Fresh off the back of announcing a new chassis and new engine projects, McLaren’s also released details of its new active suspension system. It’s called ‘McLaren Proactive Chassis Control II’, and will, in practice, likely be quite a bit like the Side Slip Control on offer in the Ferrari 488 GTB (but we wouldn’t mention that to anyone at McLaren). The system will appear on the new McLaren 650S replacement, and therefore a direct 488 rival. So what exactly does it do? Well, a Fantasia-like number of sensors read just about everything that’s going on around the car, from the tyre speed, throttle position, steering wheel position, yaw angle and things only Adrian Newey could explain. Then, the new Super Series McLaren’s brain will adjust the level of damping in the active suspension for peak traction and poise, even when you’re switched to ‘Race’. Thankfully, this isn’t nerdishness at the expense of fun, rather a kind of super-technical glee. Case in point: there’ll be a feature called ‘Variable Drift Control’, which looks to be as good as it sounds in the teaser image of. Suffice to say that you’ll be able to dial in exactly how much traction control you want via a slider on a touchscreen. That way, you’ll be able to get properly sideways in a thoroughly un-McLaren way, without binning it into the hedge shortly thereafter. Probably, anyway. So, what do you think? Are you aboard the hype train yet, or will you reserve judgement until the new Super Series model - replacing the 650S - makes its debut at the Geneva motor show in March? From some angles, the front end has a bit of a McLaren F1 look to it. Such a hot look for a car. It's got bits and pieces of a wide range of supercars sprinkled throughout it's design. 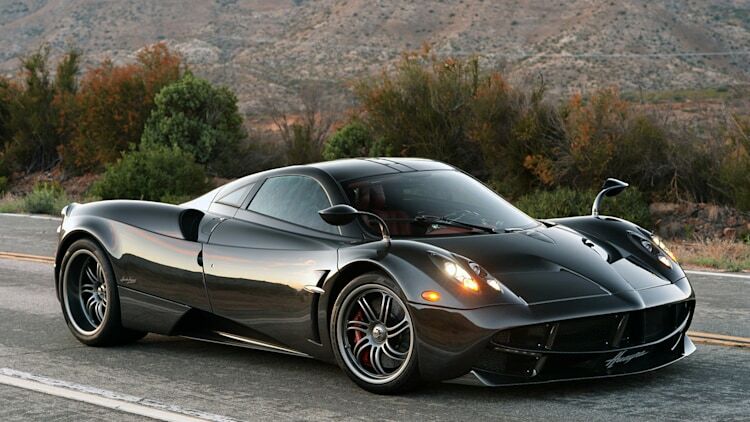 If I had to pick one car as it's primary general influence, it would be the Huayra. But, it also manages to be fresh. Not an easy feat. To me, the rear looks like a 570S/P1, while the hood reminds me of the F1. Overall, I like that they kept a similar look to the 570/650. ^ Agreed! I love the 570S, but this is amazing (aside from the headlights). 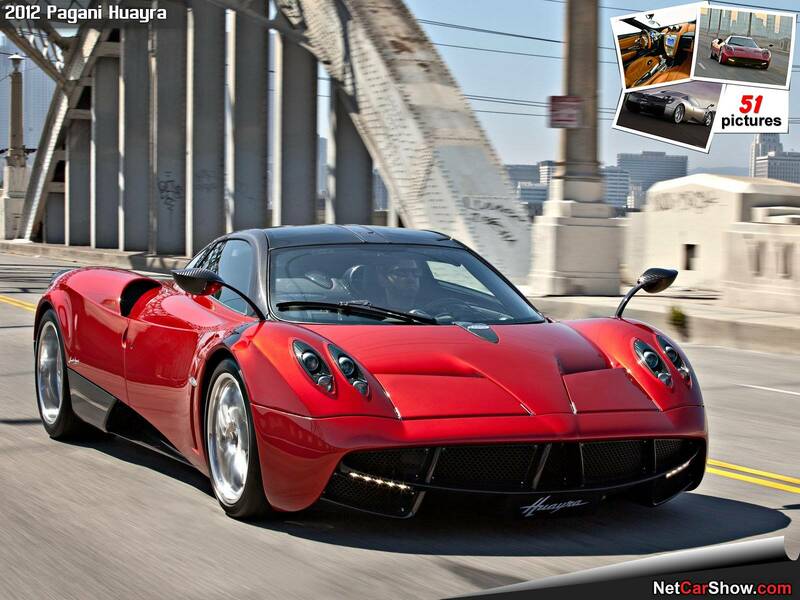 ya agreed on the front and rear - I'm seeing the Huayra lines on the mid-section and swooping curves along the car. I liked the 570S, but it doesn't have the "wow" factor of this car - it has a diluted feeling, which I think was intentional. The headlights are the only thing I don't like about it. Pretty interesting, the double speedometer/cluster concept. Feels like they are copying the Pagani's front end. Design language is worlds apart, but the overall silhouette is strikingly similar. They do have a similar cockpit shape & 'shouldered' rear, in profile. Agree, I do not like the shape of the headlight cluster, and it's pretty much the only thing I don't like. I'd have to get it in black or dark grey to subdue that. There is a strong Huayra influence, primarily in the cockpit area and surrounding curves, rear-quarter glass area, flowing lines etc. Few car companies are mapping out the same intergalactic trajectory as McLaren. From a standing start less than a decade ago, Woking’s finest have ridden out some early speed bumps and gone on to blow our collective minds with the likes of the 570S, 675LT, and P1. They’re on course to sell 4,000 cars this year, it’s a less uptight place than it used to be, and the 720S signals another major milestone: this is the first time McLaren has completely replaced one of its core cars. Time to push the giant re-set button? In some ways, yes. McLaren Automotive has the sort of restless, questing spirit you’d associate with a tech start-up, and the 720S demonstrates the company’s preparedness to veer off at some unusual tangents, visual and otherwise, as well as addressing the areas that misfired first time round. McLaren says 91 per cent of the 720S is new, and the enlarged 4.0-litre engine features 41 per cent new content: turbos, intercoolers, cast-aluminium plenum, cylinder heads, crankshaft, pistons, and exhaust. Topline numbers include 710bhp, 568 torques, 249 CO2s, 0-62mph in 2.9 seconds, 0-124mph in 7.8, and 0-186mph (300km/h, if you prefer) in 21.8. There’s also some seriously funky new software to go with the hard bits, and a handful of theatrical flourishes. The doors are double-skinned dihedral jobs that open to 80°, and the engine isn’t just visible through the rear screen, it’s also illuminated. Development work started back in 2013, before the 650S had even been announced, and a big chunk of it was done virtually. The first full validation car was only built and driven 11 months ago, so its path to market has been extremely rapid. The aero work is off-the-scale: the panel ahead of the front wheels evacuates the turbulent high pressure air away and along the side to increase downforce, while a channel at the top of the doors ducts high velocity cooling air into the radiators in the engine bay. There are no bodywork slashes here, despite its mid-engined configuration. The 720S generates 50 per cent more downforce than the 650S managed at full tilt, has double the overall aerodynamic efficiency, and is 15 per cent more efficient in its cooling. Well, it’s certainly good. In fact, we’d go so far as to say this is probably the single most accomplished supercar we’ve ever driven, which is not the sort of statement we make lightly. Remember, though, that McLaren was burned back in the day by a perceived lack of soul in its early cars, and we all know that it’s the indefinable bits that usually elevate a supercar. First impressions here are great: steering feel is impossible to measure objectively, but the 720S has that road/car/driver telepathic thing absolutely nailed – it moves like a big Lotus Elise. It’s monumentally fast, possesses the sort of high-speed balance and stability that bespeaks absolute mastery of aerodynamics, and somehow refuses to punish you even on truly execrable road surfaces. According to product director Mark Vinnels, “the challenge was to revolutionise the segment. But we also wanted to make a big leap in entertainment. We want to combine performance, emotion, refinement and efficiency in a single, beautiful whole.” The 675 LT is one of the most engaging cars ever made by anyone ever: has McLaren pulled off the same trick here, while dialing down on the aggression? Lots of carbon fibre. Dubbed ‘Monocage II’, the chassis structure now incorporates an upper structure and windscreen surround, so it’s even more rigid than the 650. Lighter, too: its lightest dry weight is 1,283kg, 18kg less than the equivalent 650S. There’s an enhanced centre of gravity, thanks to the engine being mounted 150mm lower than before. A ‘visible monocage’ that exposes the material on the inside of the A-pillar is a £3,990 option (more on all that later: things can get very costly indeed). The cowl is also lower: like the magnificent 570, the 720S gets closer to serving up the jet fighter sensation than anything else on the road, and its vision all-round is peerless. The all-glass cockpit isn’t just pretty, it means you can traverse London without mowing down a peloton of cyclists, or reverse park the thing without knackering your street cred. Or the alloys. How edgy do you like your 700bhp-plus mid-engined supercars to be? Having received a pre-flight instruction from a McLaren operative (not that daunting), and easing our way through early-morning Rome traffic (pretty sticky), here’s the thing: the 720S is easy to drive. Really easy. Common sense demands acclimatisation, but you get settled incredibly quickly. Tyre noise and mechanical thrum is negligible at regular cruising speeds. Turn up the heat and the McLaren does that thing all sub-3.0 seconds to 60mph cars do: compress time. You are here, now you are there: the bit in between is simply vaporised. But rarely has the time-warp been performed with so little conspicuous drama. The twin turbos are ultra-low inertia, twin scroll jobs that spool up much faster to reduce lag and sharpen throttle response. The red line in first and second gear is 8,100rpm, 8,200 in the next four. Keep the throttle pinned throughout, and big numbers rack up very rapidly indeed. Shift times on the seven-speed dual-shift ’box are 45 per cent faster than even the 675 LT delivers. You can sense the chassis electronics doing their thing, but only just. The 720S’s limits are somewhere beyond sky-high and out in the stratosphere. McLaren has reworked the harmonics on the new exhaust system, and the optional Sports Exhaust (there goes another £4,750) uses an intake sound generator to pump more volume into the cabin via twin vents mounted between the seats on the rear bulkhead. In standard form, the 720S is just five per cent off the 570GT in terms of noise levels, so it can do the long-haul; the sports exhaust moves it much closer to the 675 LT on the audio spectrum. Overall, and purely subjectively, we’d still say a normally aspirated engine has the edge – a shout out here to Audi’s brilliant and rather under-appreciated R8 – but as turbo motors go, the 720S is a new benchmark. Especially if you do what McLaren calls a ‘hot start’, which means sticking it in track/track mode, at which point it emits an entirely pointless but highly enjoyable wail. The 650’s multi-adjustable Proactive Chassis Control receives some intriguing revisions. As before, the dampers are interlinked at each corner, so there are no conventional anti-roll bars. There’s improved hardware, though: the uprights and double wishbones are new, reducing un-sprung weight by 16kg. As before, you can choose between Comfort, Sport, or Track mode according to location or intention. PCC II uses multiple sensors – 12 more than previously, including an accelerometer on each wheel hub – to monitor inputs from the road and measure the tyre contact patch. The information is processed in milliseconds by the ‘Optimal Controller’ algorithm, developed by McLaren in conjunction with a Cambridge University PHD research programme. According to vehicle development director Ben Gulliver, the system can alter the valves in the dampers in a way that pre-empts changes in road surface rather than reacting to them. Chief test driver Chris Goodwin is particularly proud of the work done on the rear suspension geometry. “This car can conjure amazing grip and balance even on the bumpiest roads,” he tells us. One other thing: the base Pirelli tyre (245/35 ZR19s on the front, 305/30 ZR20s on the rear – bespoke to McLaren) used by the 720S has the same performance as the old Trofeo track rubber. There is grip and compliance in equal measure, although the Ferrari 488 GTB runs it very close. Nope. “The hardware is still too heavy, the response times too slow,” says Gulliver of the latter, while Goodwin jokes that McLaren will happily keep electro-hydraulic steering in business for a long time yet. On the 720S, the rack uses one software map, and the linearity of response and the dialogue that builds between you and the road is spectacular. A small but important point: the three-spoke wheel isn’t buried under a welter of buttons, it exists to steer the car and nothing else. Proper. Vallelunga is relatively short but a lot of fun. But it’s also where we get to the heart of the matter: the 720S is so damned good it’s almost… undramatic. Dramatically undramatic. It’s that edgy supercar question again: do you need to be asking for planning permission on the ragged edge before decreeing something a ‘real’ supercar? Or do you just want to go ballistically fast, everywhere, rain or shine, with almost total impunity? The 720S isn’t clinical, but it is surgical. 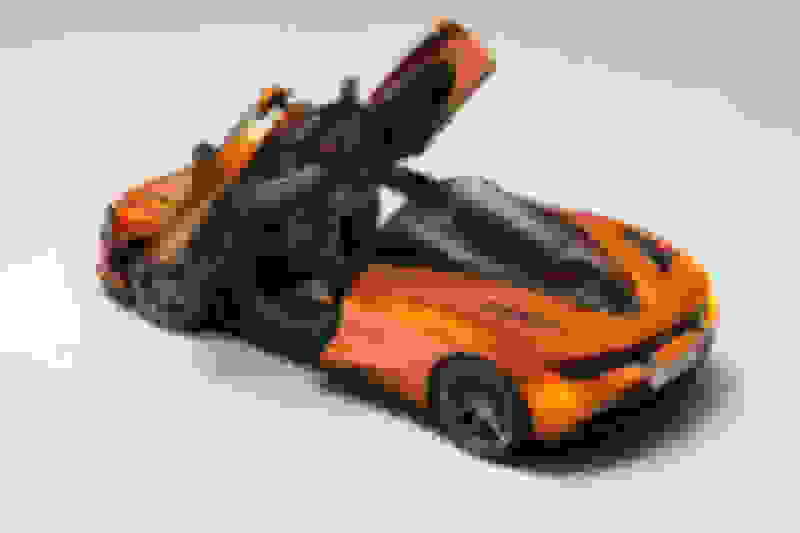 The new Variable Drift Control, which, according to McLaren, “delivers additional enjoyment in Sport and Track modes, with finger-tip control of Electronic Stability Control intensity”, is amusing, but you still need to be able to balance steering and throttle effectively, so why not just turn everything off? Goodwin reckons the system works like the nine-stage traction control in McLaren’s GT race cars, and the end game is finding the best set-up for whichever track you regularly visit. In other words, traction optimisation rather than control. Whatever your bag, turn all the electronics off and the sheer genius of the chassis is laid bare. What a machine this is. Inside, the 720S somehow combines the brutal ergonomic efficacy of a race car with the technical luxury of a contemporary GT. The drive mode controls now live in a vertical pod to the left of the wheel. The principal read-outs are housed directly ahead, and the ‘folding display’ is very cool, the idea being that you can focus on the key read-outs if you’re in maximum attack mode. The D, N and R buttons are in another pod that tapers towards the bottom. The doors eat into the roof, Ford GT40-style, and it really does feel like being at the pointy end of an arrow, only with much more control over your own destiny. The ‘human’ graphic on the climate control display is wearing a crash helmet. Nice touch. There’s also an awesome 1,280W audio system, and the speakers are a seamlessly integrated part of the interior topography. But the sat nav drove me mad, and the seat controls are difficult to reach (£2730 for heated electric seats btw). Turns out they’re one of the few things carried over from the 650S. It’s as intriguing as you’d hope, the 720S. All 400 launch-spec cars are long gone, and 1,400 cars have been ordered before the first 720S has even left the factory. McLaren, it seems, has hit the motherlode. Only a full-blooded back-to-back test against the Ferrari, preferably on British roads we know, probably somewhere in north Wales, will reveal the complete picture. Mind you, on power alone it vaults itself ahead of its Italian rival, which might bring the new 488 Speciale (or whatever it’ll be called) onto the front-burner. The 720S is magnificent, but also surprisingly nuanced for such an adrenalised proposition. It takes time to work out the full scale of its, and its creators, achievements. It’s also worth noting that our test car lifted the £218,020 list price to £292,000-plus, and that the full carbon look, inside and out, doesn’t come cheap. To put it another way: how does a McLaren 570GT and a Porsche 911 GT3 sound? We’ve driven the new McLaren 720S in Italy, and now, tested the 710bhp supercar in the UK. But really, right now there’s no point in me writing words when what you want are acceleration numbers. So here are some numbers. 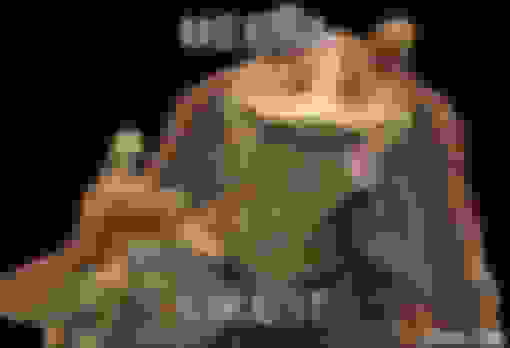 Let’s pull a few figures out and have a closer look at them. If you found a convenient place where the speed limit went instantly from urban to motorway (that’s 30mph to 70mph for anyone not familiar with UK motoring law), the 720S could make the leap in less than two seconds (1.93 to be exact). I’ve just checked and it takes two seconds to say ‘in less than two seconds’. That’s how fast it is. Accelerate from 50 to 100mph, as you might when you join a, er, German autobahn, and you’re all done in three seconds flat. McLaren claims 0-124mph in 7.8secs, we measured it at 7.46secs. So that’s acceleration from nothing to 124mph in about the time it takes you to read a sentence aloud. And don’t forget this is a rear-wheel drive car. It should be pointed out that McLaren’s launch control system is utterly astounding. It has been every time we’ve tested one of their cars. Remember when we had a drag race between a 570S and three 4WD rivals (Audi R8 V10 Plus, Porsche 911 Turbo S and Nissan GT-R)? Go and watch it here and marvel at how fast it is off the line. Clearly this is nuts, so how about some context? Set a Volkswagen Golf GTI and the 720S off together and at the point the Golf hits 60mph (6.2secs) the McLaren is north of 110mph. A BMW M3 is a massively fast car. Yet it takes precisely twice as long to hit 150mph as the 720S – 22.22secs. How about the full house Tesla P100D Ludicrous+? Well that’s one of the very few cars we’ve had that out accelerates the 720S to 60mph (by 0.09secs). Piling another 60mph on top of that takes the Tesla 7.29secs. The McLaren could be standing still when the Tesla came past at 60mph and beat it to 120mph. In fact we’ve only figured two cars that have the measure of the 720S – and one of them is another McLaren, the P1. The other is the Porsche 918 Spyder. Both of those hit 100mph in 5.0secs, but look at what they had to employ to do it, how costly those extra three-tenths were. Clearly we need to test a Chiron soon to give this 720S something to chew on. How about it Bugatti? RLX with upgraded tires is faster.